Easter Sunday is a special day no matter who you are! For lots of us it means family and friend gatherings. Beautiful out fits for the little ones, at least till they go running and screaming by you in the search for colored eggs, most likely filled with candy. For me the hard work is before the event so I can enjoy this and Mothers Day with family and friends. This is my time to kick back and renew my peace of mind, spirituality, and general optimism before the schedules go crazy and its too hot in Florida to move. I spend time selling off things we no longer have a use for, storm preparations for hurricanes, and taking lessons in beating summer heat from my cat. My older siblings will be celebrating birthdays soon. If we receive company from north of us they always want to enjoy our beaches. I’ll spend the rest of spring and summer in physical therapy, and weight loss. I really want to get back to pre-hospital weight. In a couple months I’ll make decisions on Birthday and holiday gifting to come. It seems early to me as well but, Wish.com has saved me bundles for popular fashion, handbags and tech. The down side to them is 4 – 6 week delivery from China. That and home improvements should keep me crazy busy. So for now my morning and evening meditations are longer. Spring is the time to renew and this year I can honestly say i’m doing so in every part of my life. The husband is the only thing non-negotiable….lol. How are you planning to spend your time? Home, family, job, faith, all require my energies to make changes, try new ideas, or shower them with love and safety, stay tuned. Hear about home projects that don’t require a contractor. Home made solar panels with soda cans, how did our garden fair? How many should you prepare for if strong hurricanes come, does your family have a plan. Can I enclose the front porch? This is going to be fun! (How do blogs generate income?) Can I do it too? 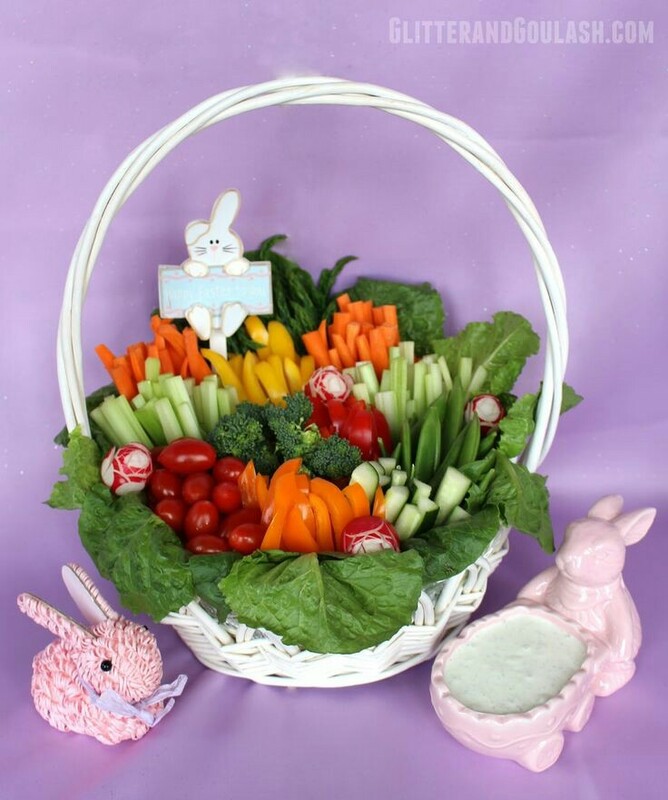 As we fill baskets with bunnies and peeps it means Easter celebrations are here! Seriously what parent, or grandparent doesn’t want pictures of the children with a cute bunny, regular size, or one big enough to sit on and get photos galore. What are the customs and traditions your family celebrate? As adults my siblings and family strayed from big Easter festivities. Now that my brothers have little children who believe in the Easter bunny visiting, I started pulling out some fun and easy projects to do. We hope to have lots of egg hunters this year. It will be fun to see ages 1 to 10 search for eggs hidden at various heights and skill levels. I think shaving cream egg decorating might keep the four year old engaged till eggs are done. I am asking her mother for old clothes, for both this and maybe some garden projects. I just hope I can keep it out of hair! We will probably have the most fun making their baskets this year. Tutus for the little girls and Ninja Turtles for the boys. I need to find something besides “Little Bunny Foufou” for the kids. Anyone who knows me knows, I love make-ahead recipes. I found some favorites when hosting Mothers Day breakfasts (since I’m not a mom). They love it because they don’t have to cook. Well that and mimosas bar/punch, I serve with breakfast and Irish coffee all before church services, for those that attend. I keep everyone else’s schedule flexable while eyeing the children playing in the house, and fenced backyard. All the while the rest of the adults get to hide eggs all over the front porch, and large front yard. Wind down with Dr Suess in the aftermath. I finish cleaning up. For Easter I will gladly put volunteers, and small children to work before they can indulge in those baskets. See links below for some of the best easy breakfast recipes I found on Pintrest. Time to hop to it! Decide on a menu that is. I love to do brunch on Easter. It’s a great time to wow your guests without breaking a sweat. Fresh flowers, and eggs are the perfect decorations to complete your family scene. As we all peruse family traditions this Sunday morning, I find the timing of a brunch works with most schedules, and saves you money when love saving some money. With a little easy prep done ahead, makes my job very easy. A quick pick up, around the house, new towels in baths, clear away clutter, decorate areas for brunch. I love the dollar tree for table cloths, and plastic table any extra serving dishes or utensils. This makes my clean up really easy. Disposable plates and cups makes clean up so easy. When everyone has left I simply throw away table cloths, napkins soiled plates, broken utensils, scoop it all up and throw away. I saw this and I’m trying it this year. I hope it goes well without too much mess. This is too cute not to try, again dollar store basket so nothing to worry over at the end of the day. These adorable guys are not only great treats but are helping decorate my Buffett tables. If I was going for formal they would make the cutest place cards! These double as treats that decorate until the egg hunts. They would also make great prizes for games if you’re so inclined. I’ve put pics and recipes on my Pinterest board What do you think? http://pin.it/PlWL2ub Take a closer look! here’s the link. I use both eggs i’ve colored and plastic for decoration. Baked oatmeal with fruit, and village inn ultimate skillet copy cat. Strong breakfast blend coffee hot or over ice with Bailey’s and khualua. Mimosas or bellini, next to the pancakes, you choose the type of syrup. I make french toast casserole and baked oatmeal the night before. Set up the coffee pot, and arrange my placement of the coffee and adult drinks. For the younger set bunny punch made from sparkling soda and fruit juices. Easter morning I put casseroles in the oven. Add bacon and put eggs in muffin pan, also ready go into oven 30 and 15 minutes before serving. Pull out pancake batter already made. Cook off pancakes, tent with foil for warmth. Add syrups and juices to respective spaces. Sit and enjoy my coffee until people arrive. Make lasting memories and traditions to be passed on for generations to come.
. Show off your divine spark. I would also like to extend super hugs, and thanks to my mom, Mary and grandmother Claudia, who both without fail made sure we not only felt loved and admired as children, but on through adulthood where we get to practice what we played. A special thank you to the important men who molded and shaped me to respect myself and never doubt who I am. To my Dad, David, Grandpa Ray, and Uncle Gene who I know watch over us from above. Finally, my husband, Scott who loves me enough to have married into our crazy family, and diverse siblings. (I did too but 1200 miles away is different.) To all my Family and Friends Happy Easter! That was the nursery rhyme from childhood. While my mother’s name is Mary, we’re open to new ideas. Do you plant a garden to enjoy all summer long? While flowers are an obvious choice as a beautiful display around your home. When temperatures rise we often find more reasons to spend time outside, so flowers are admired by many. One of the other choices here is a kitchen garden. Many professional chefs grow lettuce, tomatoes, green beans, carrots, potatoes, and don’t forget the herbs. If you want to save some cash this summer, grow your own organic veggies and herbs. We love vegetables so spending $60-$80 a month at the farmers market is not unusual. Imagine you could save $60 a month for let’s say 5 months. That really starts to add up. Save for a fun day for the kids. Or back to school supplies. How about a really long term goal like Christmas savings. This year we’re going to try a new concept shared on Pinterest. The herbs are moving to the railing on the front porch. Containers will be joining these, we started a pineapple in one. We think a couple small fruit trees. I saw a blueberry bush, raspberry bush, and limes, strawberries, oranges, lemons, grapefruit, blackberries. They are available in what they call dwarf trees, perfect for containers. On the front porch gives easy access when the fruit comes in, and manage in off season. The concept we’re looking to try is called hay bale gardening. Not only does it raise plants up off the ground according to a little research this is better and faster than fertilizers. Planting directly in the bale only requires water any a little potting soil. Best news hay bales will decompose to enrich the soil in 1-2 years. We also plan to move delicate vegetables or fruits into a green house to combat critters like birds, squirrels, and possibly an armadillo that keeps digging holes in the yard. Pergelas are beyond my ability. Maybe I can talk my brother into building a simple one. We have some grape vines that I want tobe encourage to the top of the trellis. I understand most can be made from reclaimed wooden pallets. Along with getting rid of wooden gazebo, we hope to create both a seating area with wood burning fire pit, and dining area partly covered with a sunshade. 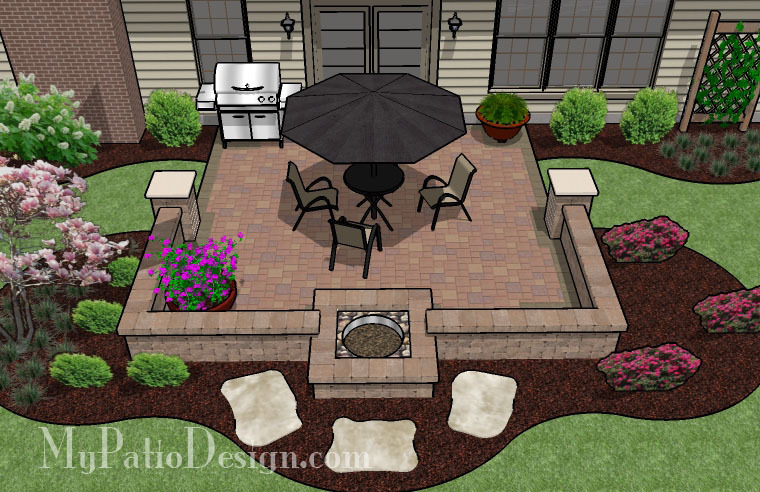 A permanent fire pit is on the list as well. Lavender, mint, and lemongrass are must haves by the porches front and back to keep mosquitoes away. I also want to try the shiny penny in water. Hopefully this will keep them away from me. I enjoy the outdoors, as long as it’s not making a meal out of me! I would love to get both a dry rivetbed, and fountain with pool to help with drainage form our yard. All of these ideas are great fun for children and make great projects to do together. What are you planting in your? Any suggestions to turn my thumb green again? I hope along with hurricane preparations we can have it done in time for summer with family and friends. I don’t know about you, but this time of year goes from zero to extreme in a matter of just a few weeks. We just got through Valentine’s Day, Mardi Gras is in full swing right now. Turn around and get Easter and Mothers day, before summer hits. Don’t leave Fathers/Dads Day out and since we live on the Gulf Coast Hurricane season. Like I needed one more thing to be prepared for! I included pins and photos that I do not own. The recipes work well every time I used them. Thank you fellow bloggers for these great recipes, tips, and ideas. If I missed including your link drop me an email. Get organized. I’m a list person. I make a to do and cross chores off as I complete them. This time of year I make a big job list, with a smaller one for each room. So my big job list has, den, bedroom, kitchen, pantry, entry way, front hall closet, living room….etc. in kitchen the regular tasks are augmented with larger, deeper, cleaning, by task so I get it all done. The crossing off makes me feel more productive, than a list that feels like forever to complete. It also reduces the stress to get it done and not forget anything. Common vs. Private & Fabreeze and Magic Erasers are our friends. I try to finish all tasks in common areas of the house first. Living Room, kitchen, entry way, front hall closet, dinning room, all make top of the list. I leave private areas like bedrooms or master bath, my closet last. That way if I run out of time before company comes or unexpected circumstances occur, the places seen and “lived” in, i’m putting my best foot forward. If I don’t get my own closet sorted its only known to me, not a guest who wants to put sweater in the front hall closet. Make things manageable and go room by room. I start at the front door and porch then work my way back. Remove clutter, dead plants, cracked flower pot, or whatever then sweep porch to remove sand, salt, leaves… A good pressure wash from you hose will do wonders. If you stored the cushions during the frigid temperatures of winter, its time to add them back. Incorporate deeper cleans with 20 extra minutes or so for task. While unloading dishwasher, remove others from cabinet, wipe cabinet inside and out. Replace contact paper if you use it. Arrange dishes if changes needed when putting away. 1 to 3 cabinets an evening, makes it an easier task than all day in kitchen. Clean fridge before trip to grocery store. Much easier with less stuff in both freezer and refrigerator. Make those bubbles fly. I do floors last as I finish a room, or spot clean if big job like cabinets in kitchen. (I gonna do them all again anyway at the end). I use activities like shampooing carpets as workout time. The machine is heavy and you can really work arms, legs, and core, with this. Try standing one spot and get furthest reach without moving your feet. If done right you’ll feel it back, arms,legs, hips, core, will all be sore the next day. Remember to have fun! Yes, spring cleaning is serious, for sanity, health, keeping up with important things for the kids, and answering the 300th ‘mom’ question, when they can’t find….Turn up the volume on the stereo get the kids involved. A great time to teach sharing as we share toys, clothes, and even some food, for the less fortunate in your community. 7. I’m not going to waste space on here but, please know these work great and please give credit to these wonderful bloggers. I use magic erasers on almost every surface. They work great on counters, cabinets, hand wash dishes, bathroom sink and counter, now they even make telescoping pole for easy reach of base boards. I’ve got to see if I can attach magic eraser, and dryer sheet. They work very well on base boards. 8. I do kitchen, bath, pantry, laundry room, in that order and sometimes laundry room can wait until bedrooms are done to cope with any found laundry. This also good out of way space to store donations, if you don’t have a garage. 9. Clean out closet first if you can. I try to do this first to make space for the other stuff I’ve left around the room. I also make updated list of occasion cards I have, and any gifts I’ve already acquired, so I don’t over buy. By doing so I rarely get to an occasion where I’m searching or overspending. My biggest responsibility is picking the correct wrapping. What’s your secret(s) to a clean house?